The Panda Security, company announces a new version of Panda Cloud Systems Management (PCSM) – full-featured solutions for remote management, monitoring and support of all types of IT-devices in your organization. This solution enables IT-administrators to fully implement the control and protection of business processes within companies while simplifying the management of incidents and optimizing support. The company McAfee, well-known manufacturer of anti-virus solutions and safety equipment, has introduced a new technology for Android-based platform – an application McAfee Security Innovations, which is a universal tool for data security of mobile devices. Presented release of a specialized Linux-distribution Tails (The Amnesic Incognito Live System) 0.18, based on the Debian package base and designed to provide anonymous access to the network. This is the conclusion reached by the experts of the survey thousands of office workers. According to the analysis published Aaron Higbee, Technical Director PhishMe, about 49% of users have a greater fear of becoming a victim of phishing, while working at a computer at home, rather than for the workers. According to him, in the course of the survey, participants were employees of various offices of British companies (about one thousand), it was found that 27% of them have no idea what phishing. 78% of respondents who know what I mean, sure they never become a victim of this kind of attack. Developers Blackhole and Nuclear Pack said that the exploit is a ‘New Year present’ for their clients. Hackers who are the authors of such sets exploits as Blackhole and Nuclear Pack, claim that they had added a new exploit, an attacker previously unknown and is not currently vulnerability in Java. Affected versions: hostapd 0.6, perhaps the only one. hostapd 1.0, perhaps the only one. 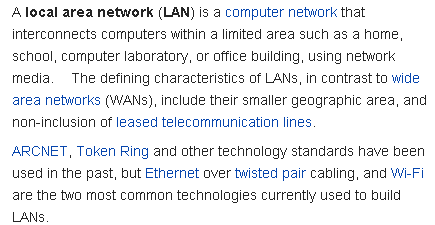 In the two non-wireless Internet access production Broadcom found serious flaw that can cause denial of service. Researchers CoreSecurity Andres Blanco discovered a serious vulnerability in two Wi-Fi-module, which provides wireless access to the Internet, which are installed in a number of modern smartphones. According to Blanco, chips made by Broadcom Corporation contain unterminated hole that attackers can use to carry out DoS-attacks. In the study, Blanco found the vulnerability CVE-2012-2619 is present in the chipset BCM4325 and BCM4329 and allows a remote user to DoS-attack, using the read error beyond the borders of the data. from hacking attacks, viruses, and malware threats from the network. Description and classification of different types of malware. Methods to improve protection against malicious software and computer security. Tips on how to use the best free tools that will help protect you from dangerous downloads and malicious websites.